Why you should go to Vilamoura for your next resort holiday. Looking for a safe, stylish and exclusive holiday resort town with all the amenities for a perfect vacation? Then Vilamoura in Portugal’s southernmost Algarve region could be the right place for you. 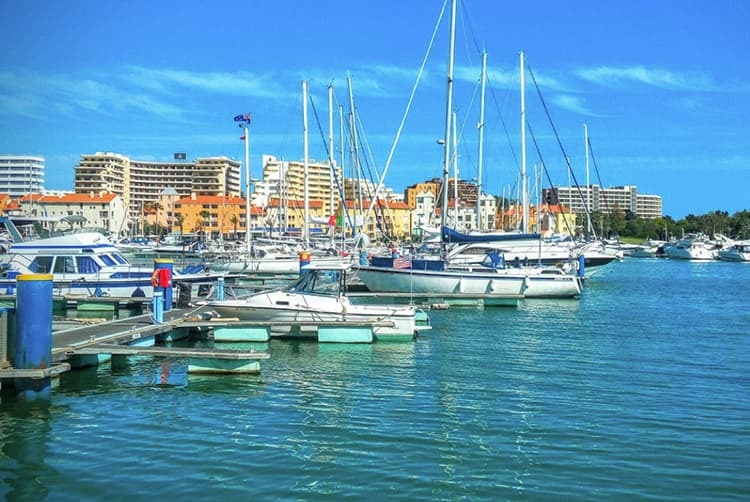 Founded in 1966, the resort town of Vilamoura features Portugal’s largest marina with 845 berths, as well as two gorgeous beaches. You will be able to choose from staying in a range of four and five-star quality hotels, or for those wanting a more independent holiday, from various tourist apartments and self-catering holiday villas. What’s the weather like in Vilamoura? As Vilamoura is in the Algarve, you can expect beautiful warm weather. From May to the end of September, the temperature can reach 30°C (86°F) and even more than that. How to get to Vilamoura? The closest international airport from Vilamoura is Faro (also known as the Algarve Airport). 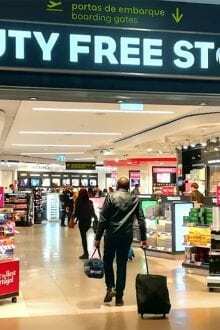 Particularly during the summer months, this airport is served by a large number of legacy, charter and budget airlines with connections from most major airports in the UK, Ireland, central Europe and Scandinavia. If you want to find out more about destinations from Faro, you can find an updated destination map on the official Faro Airport website here. Getting from Faro Airport to Vilamoura is straightforward. You should first check if your hotel or package holiday provider if they already offer an airport transfer – in many cases it will be included in your trip. If not, we suggest you use a private transfer to get from the airport to Vilamoura, particularly if you’re travelling in a group, as prices start at just about €7 per person if travelling by coach or €35 for a private car with space for up to four people with luggage. One good option for booking a transfer is with Get Your Guide here. Enjoy a private and door-to-door transfers from Faro Airport to your accommodation. No shuttles, this vehicle is only for you and your party with an English-speaking driver. It’s only €28.40 for a group of four people! Although, considering the good availability of (low cost) transfers, it almost doesn’t make sense to opt for public transport, but you also have that alternative. First you need to take bus 14 or 16 from Faro Airport (the bus stop is just outside the terminal building with a blue sign saying ‘Bus to Faro’). Exit at the final stop at Faro bus station. Busses run roughly every half an hour during the day (you can find the schedule here: Line 14 and Line 16) , the ride takes about 20 minutes and a single ticket is €2.35, which can be purchased from the driver. Walk from Próximo’s bus station (Próximo is the local bus operator, their website is in Portuguese) over to the bus station of Eva bus (the company running the long distance coaches in the Algarve). There are frequent services during the day, however since the last bus leaves Faro already at 6.45 pm, this is not a good option for flights arriving late. 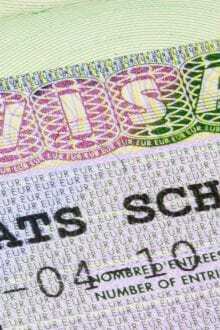 You will need to buy your ticket at the ticket office in the Eva bus station prior to departure, as the bus drivers do not sell tickets. A single ticket will cost you just €4.10 and the return €8.20. 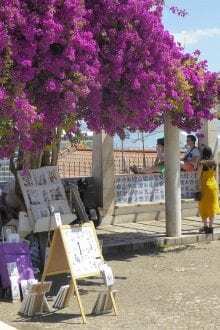 By subscribing to our newsletter, you will never miss out on tips and advice about the Algarve and visiting Portugal. Alternatively, for those looking to rent a car there are numerous car rental agencies located both directly in Faro Airport or within close proximity to it (usually offering a free transfer to their office). A good website to compare the prices of car rentals is Carrentals.com. When searching for the right car, you should keep in mind that you will usually require a credit card to provide a deposit for any potential damages caused to the vehicle. For peace of mind, we would always recommend that you also take out comprehensive vehicle insurance. You may want to check out icarhireinsurance.com for cheaper insurance options, so that you don’t end up paying a substantial amount of money should there be any damage to the car. You might like to read: Car Rentals in Portugal. 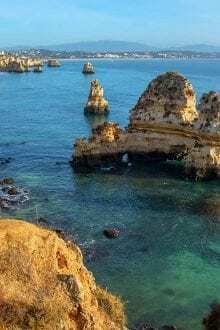 When driving to Vilamoura and generally in the Algarve, you have the choice between the free, but slow and usually very crowded N125 road and the A22 motorway. Please note however, that the motorway is subject to road tolls and that you will need to rent a toll device from your car rental company to pay for the charges. Attention: Since the A22 is an electronic toll only road, there is no option to pay with cash or card at the entrance gates or exit the motorway, so make sure you rent the device if you intend to use the motorway. If you’ve never driven in Portugal before, you may want to read our article: Driving in Portugal for some handy tips and advice. What to do in Vilamoura? Vilamoura is one of the single largest tourist complexes in Europe, consisting of more than 2,000 hectares of land. Located around the famous Marina of Vilamoura, the resort town features activities for all tastes. And, if you’re passionate golfer, you’ll find an excellent course at the Vilamoura Golf Club in the resort town. If, on the other hand, nature is what you’re looking for, Vilamoura is equally a great location for your holidays. 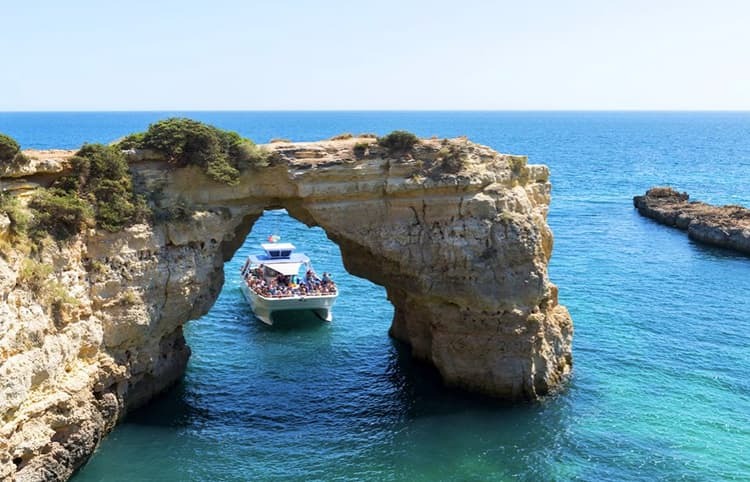 You could for instance join one of the boat tours and visit the many caves alongside the coast between Vilamoura and Albufeira, letting you explore the typical coastline of Algarve. The tours with a duration of four hours cost of about €20 and are usually on a catamaran with an additional small boat, so you can enter the caves. Get Your Guide is the best place to find great deals on boat tours in the Algarve. They have a brand new tour that you can take for only €35 per person. Explore the beauty and crystal-clear blue waters of the Algarve coastline and stop for a refreshing swim and enjoy some regional treats. To book this new tour, just click this link and pick your dates. Alternatively, if you would prefer to explore Algarve staying on land, why not visit Vilamoura’s famous horse riding school at the Vilamoura Equestrian Centre? Besides learning a new sport, this is also a great way to explore the stunning countryside of the Algarve and the many beautiful beaches that surround the resort town. If you are looking for night time activities then you equally have lots of options to choose from. In addition to many bars and restaurants for all tastes, Vilamoura also features some of the best night clubs in the Algarve, including the Disco Dice Club and the Seven Vilamoura club. There is also an international casino in Vilamoura, where you could, with a bit of luck, earn some extra money for your holidays. But keep in mind, it could also go the other way round! Like casinos? You might like: Top 7 Casinos in Portugal. As we discussed above, it is perfectly possible to reach Vilamoura without a car. However, for those preferring to combine their resort holiday with a bit of more freedom and independence, we strongly suggest renting a car, as this will allow you to visit some of the beautiful, more remote beaches that are situated around the resort town. 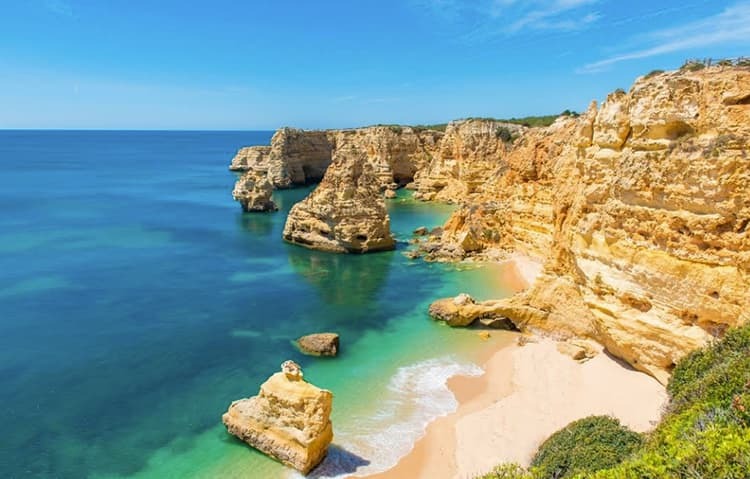 You could, for instance, visit the Praia da Falésia beach between Vilamoura and Albufeira, or go even a bit further to the west and visit one of Algarve’s most beautiful beaches: Praia da Marinha. Here are three of the best hotels that we recommend for you in Vilamoura. 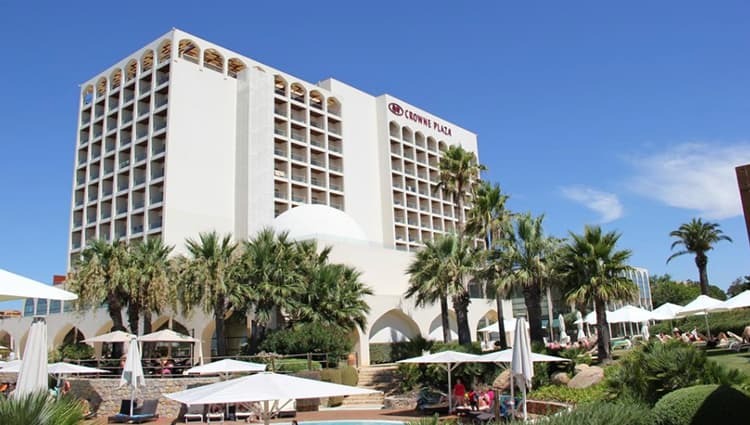 The Crowne Plaza Vilamoura is a five-star resort hotel and is a great place for couples and families alike. Located right in the centre of Vilamoura, just a short walk away from the Marina, the modern resort features all the amenities necessary for a truly great holiday, including an outdoor pool facing the sea, a kids club, a Spa and wellness centre and a great bar and restaurant with a sea-facing summer terrace. Guests of this hotel particularly like the modern décor, the central location and the outstanding Continental European breakfast which is included. Prices start at €210 per night. For those seeking a more independent holiday style, the four-star Laguna Resort in Vilamoura could be the right choice. Located just outside of Vilamoura (about a 30 minutes’ walk or a 5 minute drive from the Marina), the resort consists of 13 villas and 24 apartments which are all fully equipped, self-catering, accommodation. There is the option to have your breakfast delivered to your door in the morning if you prefer. While each apartment offers a spacious terrace with sea views, the private villas have both a private garden and a terrace. There is also a seasonal kids club for families and the Laguna Caffé, which includes a bar, restaurant, lounge and two terraces. It’s a quiet and relaxing atmosphere at this resort. Prices start at €250 per night (for up to six people). As Cascatas Golf Resort & Spa five-star resort offers luxury suites for one, two or three guests. While all the rooms feature a fully equipped kitchen, there is also a restaurant onsite, offering for example, various breakfast options, including Continental European, English/Irish and American options. While the hotel itself has six swimming pools and a gym, you can also use the facilities of the Hilton Hotel located right next door. Moreover, the resort also features a kids club that can entertain your little ones and give you (and your partner) some time for yourselves. If you want to get out of the resort, you can easily hang out at the beach, explore Vilamoura’s city centre or play some golf using the hotel’s free shuttle service that serves the As Cascatas Beach Club, the Marina and Vilamoura’s various golf courses. It’s the perfect place for a romantic couple holiday. Prices start at €240 per night. 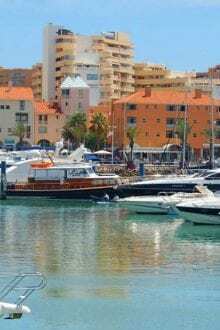 Is a holiday in Vilamoura worth it? As you can see, Vilamoura has a lot to offer and you can spend your well-deserved holiday in a lot of different ways. So, no matter whether you are a couple, a solo traveler or a family, you will easily find accommodation, restaurants and activities that fit to your needs and desires for a great holiday! As you can see, whilst being a resort town, a vacation in Vilamoura still offers you all the flexibility to design and spend your holidays in the way that you want it! Do you have any questions about Vilamoura? If you have been there before, let us know in the comments below. Born and raised in Germany, I have previously lived in Lancaster and London before finally moving to Lisbon in 2017. My great passion is travelling and in that respect I very much enjoy getting to know new places and specifically the people that live there. Languages are another great interest of mine and while I can already communicate in four, I want to continue learning! Although I am sadly about to leave Lisbon for a new job, I am planning to come back here for good, considering the city is to me the cosmopolitan and vibrant capital of one of Europe's most beautiful countries!